Fall 2017 into 2018, a new guitar, and more tour dates! Its mid-November, and we just completed our final tour dates with New West Guitar Group for 2017! Next year we have some cool gigs coming up, so be sure to visit www.newwestguitar.com and catch us in your town! I have some exciting instrument news too! 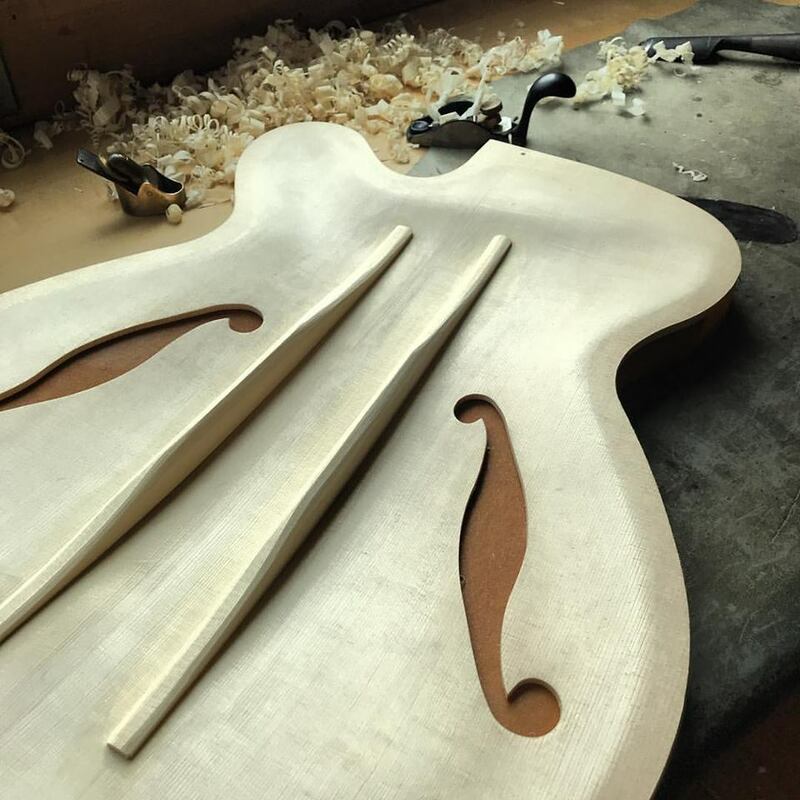 I've been collaborating with Stephen Marchione for a few years on an idea for a new archtop guitar. Coming in Janurary 2018 will be my 16" guitar!! More pics to be posted here and on my Instagram page. Here's a picture of the top of the guitar under construction! More tour dates with Jeff Goldblum including New Year's eve in San Francisco and SketchFest in SF as well! Get tickets now before they're sold out! Thanks for following me here and be sure to like and subscribe on Facebook, YouTube, and Instagram. Summer 2017 and the tour schedule is posted!